This sensor takes a continuous distance reading and returns a corresponding analog voltage with a range of 10cm (4″) to 80cm (30″). Note! Some of the cables on these sensors are connected in a way that they can be plugged straight into the BU0836 Joystick Controller (Black-Yellow-Red). Some of them are still in the default order (Yellow-Black-Red). Make sure you connect them the right way! Another note: this bugger doesn’t work too well in cold temperatures – or at least needs new calibration based on values that it gives outside (tested in snow Ice and Media 2009-10 at -25°C). 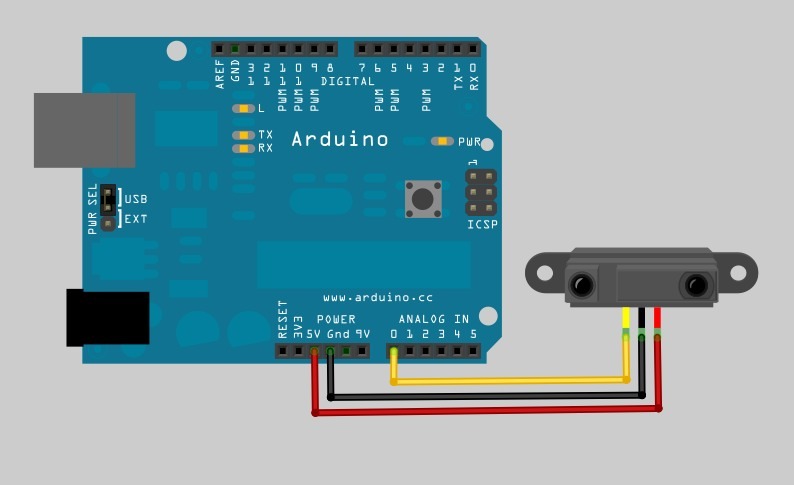 Control an RC car with the IR range finder.